Mittoni: Boomchair Stealth - "Get Off My Chair Mr. Sulu!" Meet the Boomchair Stealth, a traditional (yet futuristic) 'off the floor' style chair, featuring reinforced padded arm supports and an adjustable head rest for a comfortable entertainment experience. Two 3 inch 2 way speakers and a 4 inch sub woofer provide great sound while you watch your favourite movies, play games or listen to music. 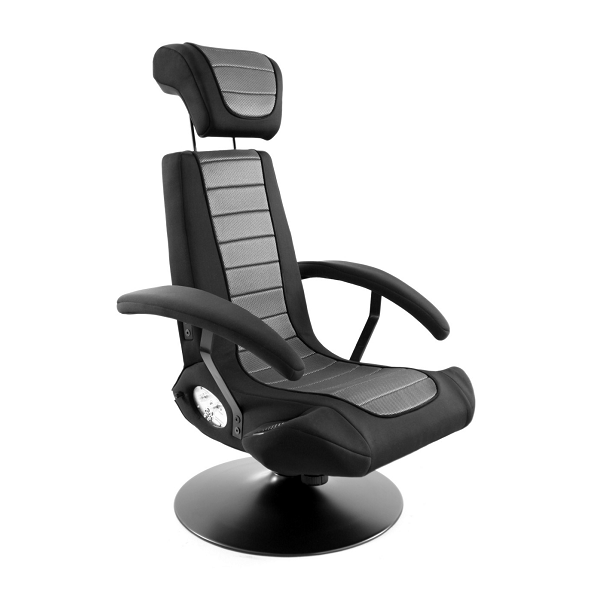 Adjust the swivel and tilt to a comfortable position and you're ready to make it so!